Unifor Local 1285 Jaspal Brar says FCA is looking for electricians, millwrights and toolmakers in Brampton. Fiat Chrysler Automobiles is looking to fill its pool of applicants for skilled trades jobs at its Brampton Assembly Plant because hundreds of workers are eligible to retire, says the union representing the workers. 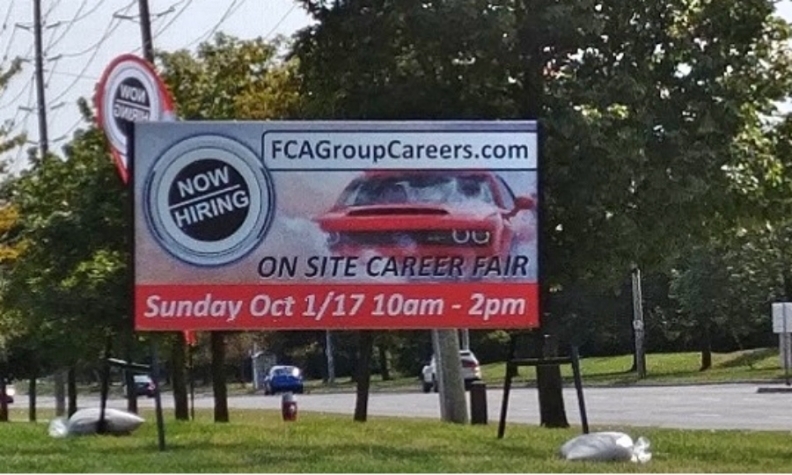 The automaker will hold a job fair Oct. 1 from 10 a.m. to 2 p.m. at the plant, at 2000 Williams Parkway E.
FCA Canada didn’t immediately respond to interview requests but President of Unifor Local 1285 Jaspal Brar said the company is looking for electricians, millwrights and toolmakers. Brar said the automaker, then known as Chrysler Corporation, hired the biggest group of people ever at Brampton in September 1987, not long after the automaker acquired the plant in a purchase of American Motors Corp. Thirty years later, hundreds of employees can now retire with a full pension. The automaker already has a pool of resumes for production workers, gathered last year, Brar said. Brar doesn’t know precisely how many people will retire, just that hundreds are eligible. Brar said the automaker is simply filling its resume bank and the job fair has nothing to do with the new paint plant FCA pledged to build as part of a new four-year contract signed with Unifor in September 2016. “This is just regular business,” Brar said of the job fair. As part of the deal reached in September, the automaker promised to spend $325 million in upgrades at the plant. The union said after negotiations improvements would begin in the summer of 2017 but that hasn’t happened. Brar isn’t sure why. “This is something they are keeping really close to their chest. I wish they would disclose some of their cards,” Brar said.